HERSHEY — Fred Mulbah looked around, saw he had nothing but open hardwood ahead of him, and took flight. In the air, he pulled his arm back, swung it around in a full windmill circle, and thunderously slammed the ball through the rim. 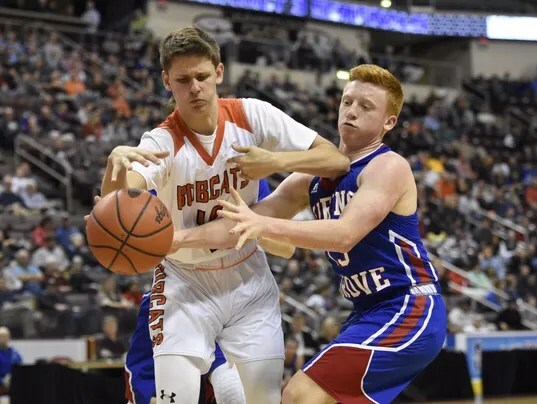 It was the perfect exclamation point on Northeastern’s 78-58 win over York-Adams League Division I rival Spring Grove in a District 3 Class 5-A semifinal game at the Giant Center.